With the likelihood of a Democratic candidate ousting Trump in 2020 looking like mission impossible, the party is resorting to a number of desperate and even dangerous tactics to steal as many voters as possible. Perhaps the best way to gauge the desperation that has overrun the Democratic camp like kudzu in June is the frenzy that has greeted the arrival of Beto O’Rourke, the former lawmaker who recently announced his candidacy for the 2020 election. If the Liberals believed in God, their response to Beto’s arrival would rank up there with the Second Coming of Christ himself, entering stage left on a skateboard, hair trailing behind with a hint of hope and gunge polluting the air. Perhaps in other less delusional periods of American history, Beto the marionette, who gesticulates as if his strings were being yanked by an epileptic after a tasing, would be seen for what he is. Exactly what that might be is hard to nail down, but it is certainly not presidential material. Yet the fact that so many Democrats and media have worked themselves into collective hysteria over this guy, whose most notable career moves to date are marrying an heiress, writing exceptionally bad poetry and losing to Ted Cruz in the Texas Senate race, speaks volumes as to how shallow the Democratic bench is, where a host of other unlikely players include Elizabeth ‘Pocohantas’ Warren and Bernie ‘the multi-millionaire Socialist’ Sanders. Then there is Joe Biden, 76, who didn’t need a leaker to spill the beans on his apparent intentions to run. He did it quite nicely all by himself. But one needn't focus on the Lefts dismal presidential choices; there are many other places to find examples of Democratic decline and degeneration. If ever there was a perfect symbol of the political schizophrenia dividing the nation straight down its frontal lobe, it’s the yet-to-be-built wall on the Mexico border. 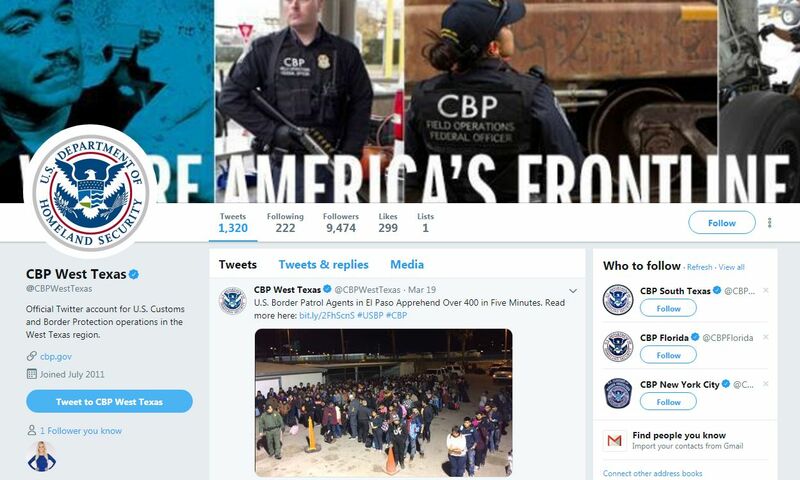 For law and order Republicans, the image of illegal immigrants gate-crashing America’s border is noxious to every tenet of conservative thinking, which has little patience for freeloaders, line cutters and ultra-violent criminals. Ironically, Democrats once-upon-a-time also looked upon the arrival of undocumented immigrants with an equal amount of wariness and alarm, until they realized that the invasion translated nicely into future voters. 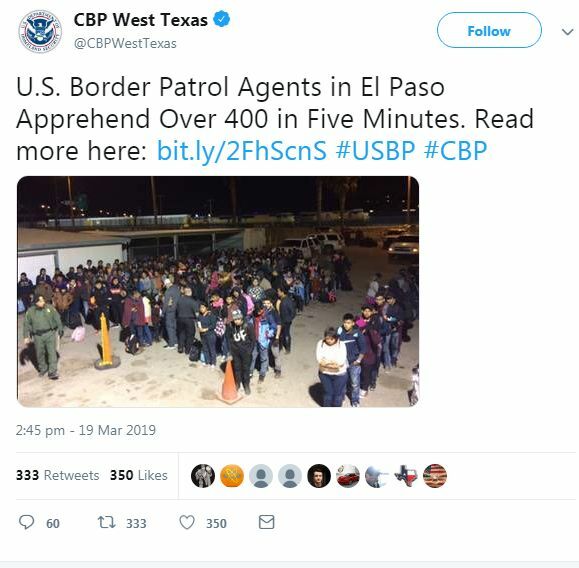 Then, concerns about a criminal element overrunning the country vanished as Republicans were labeled the racists and fear mongers for having the audacity to defend the border. Now there is even talk among Democrats to give these illegals Social Security! Now that Trump has declared a national emergency and the Pentagon has found the pocket change to plug the border leak, the Democrats have plumbed the democratic depths for new ways to win over voters. And since they have no platform to speak of, aside from Trump bashing, they must resort to unsavory methods. One creative method for robbing the ballot involves ‘robbing the cradle,’ that is, reducing the voting age from 18 to 16 years old. Yes, allow adolescents who are too young to legally drink alcohol, buy smokes and fight in wars to participate in such discussions. Sounds like a genius plan. Although the measure was defeated in the House it shows which way the political winds are blowing. The Democrats understand that the minds of the youth, thanks to the liberal indoctrination they’ve been receiving gratuitously at public schools across the nation, have been for all intent and purposes “captured,” as Nancy Pelosi nicely described it. Another effort to capture voters involves a direct attack on the one document Democrats seem to loathe the most, the Constitution, and specifically the 12th Amendment, which mandates that the Electoral College determines the outcome of presidential elections. Their desire to change the structure of the process is understandable since both former Vice President Al Gore and former Secretary of State Hillary Clinton both lost presidential elections despite having won the popular vote. 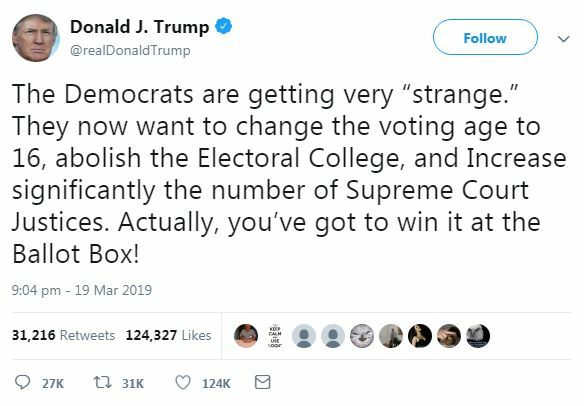 The Democrats wish to ignore the purpose of the Electoral College, which the Founding Fathers instituted as a means to prevent the country from being overrun by ‘mob rule,’ which it has successfully accomplished since first being implemented in the 1804 election. Without the system in place, the so-called ‘fly-over states’ would disappear from the political radar, while all of the attention would fall on the large urban areas and heavily populated states. Regardless of these considerations, which date back to ancient times and the Greeks, who understood a thing or two about mob rule and tyranny, the Democrats have endorsed the so-called National Popular Vote Compact, which has already been signed by 12 states and the District of Columbia, representing 181 Electoral College electors. Some may argue on this point that the Supreme Court, especially considering its increasing conservative slant, would never allow such a motion to slide. Well, the Liberals have a plan to circumvent that little irritant as well. They will simply pack the Supreme Court with more justices. In other words, mob rule. Problem solved. “The Kavanaugh court is a partisan operation, and democracy simply cannot function when stolen courts operate as political shills,” Brian Fallon, director of Demand Justice and a former Hillary Clinton press secretary, told Politico. “We are thrilled to… undo the politicization of the judiciary.” Especially when that ‘politicization’ does not favor the left. And here is where the whole notion of ‘mob rule’ stands out in stark contrast with the original intentions of Americas Founders. Despite their purported concern about foreign entities, namely Russia, tarnishing the squeaky clean US political machine, the Democrats are totally fine with illegal aliens participating in the election process. Nothing speaks ‘mob rule’ more than that decision, which shows exactly how far the Democrats are willing to subvert the political process, not to mention the rule of law, in order to extend their cultural and political control over the country. These unhinged efforts, which have absolutely nothing in common with democratic principles, must be stopped for the sake of the Republic.